Other Garden and DIY Bargains! We all like offers. And getting that fabulous bargain! These pergola offers come around every so often, and that's great, because we can spend what we have saved on other things! My intention is to keep this page as relevant as possible in terms of the bargains I include, which will be items that make our gardens both interesting and beautiful, and a fabulous place to spend our free time. I keep track of bargains, discounts and voucher codes so that I can pass them along to you. These may indeed be cheap pergolas, or could be sale items and bargains on a whole range of garden related products, including plants, paving, gazebos and summerhouses, hot tubs and interesting accessories! That's why I have included a 'Pergola Offers' page, to help you find gardening and diy bargains at a glance. Some promotions and voucher codes are specifically set up through a partnership between myself and particular companies, specifically for this website. In other words they are exclusive, so it is worth taking a look. Most sale items and voucher codes last for quite some time, so don't worry if the I updated the page a while ago. The offer may still be on. ...or sign up to receive my 'Love Gardening' Ezine where you can get advice and information on all things 'gardening' sent straight to your inbox. The newest offers will come first in the list below. Crocus are probably the best online plant supplier, with only £5.99 delivery, whatever the size of your order. I use them for planting schemes in clients' gardens for convenience. I love to look through their offer page at this time of the year, to spur me on for getting ideas for planting. 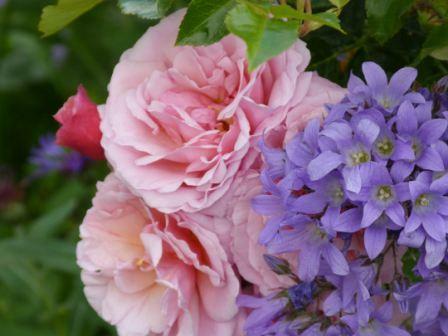 See their 'Special Offers' page for good price reduction on seasonal plants. They have lots of good offers at the moment one of which is the majestic and beautiful Agapanthus. 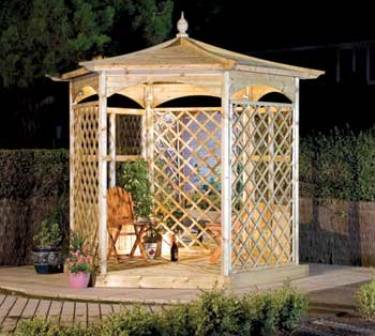 £650 off this very lovely garden gazebo, making it an affordable £599. Wow, that is a bargain to get the summer off to a good start! 25% and 50 % off these coated aluminium bistro sets. They look like wood, and are styled like wood. However, they are practically maintenance-free apart from wiping occasionally. With good quality cushions, they make a comfortable and practical option. 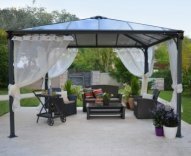 Greenfingers probably have the most extensive range of metal pergolas, arches and garden furniture with some good pergola offers. They often have great savings on arbours and arches, both metal and wood, some with planters. They have one of the best selections of metal pergolas and metal arches. 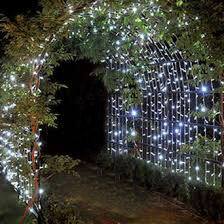 See their modular metal arch that can be joined to make a lovely pergola walkway or tunnel. 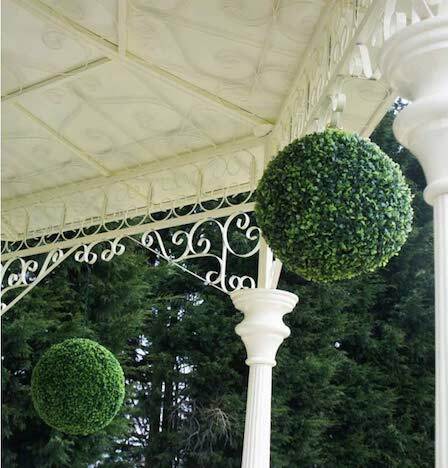 At only £7.99 a module, you could have an effective long pergola up which to grow beautiful climbing plants in no time - and for a very low cost! Excellent reviews. Big, big savings of £2,435 for the 6 x 4 m size. Great savings on other sizes, too! 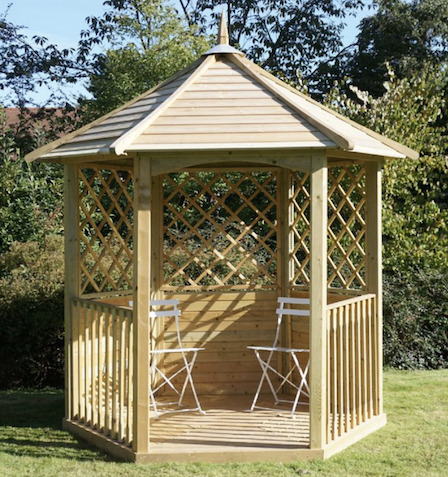 Have excellent savings on their wooden gazebos at the moment £906 off! 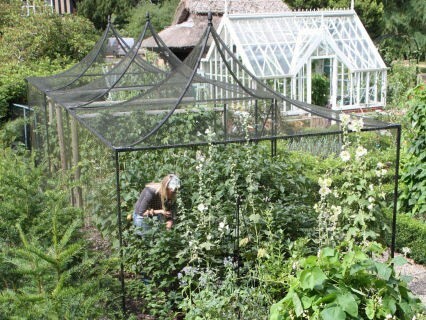 Selling excellent quality Fruit Cages, Raised Beds, Patio Gardening, Crop Protection, Netting, Pest Control, Composting, Plant Supports, Arches, Obelisks, Cloches and 'Grow Your Own', there are always several voucher codes here for us all to enjoy. Here are some that have come through recently that I think you may be interested in. Some of these discount codes are really worth having, especially on the metal pergolas and larger items! If you're looking for fantastic quality, this is the place to come. Use ARC10 for 10% off arches and obelisks. These are more expensive, quality products, so the 10% off really is worth having. 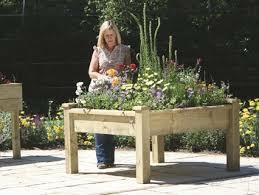 Use RB10 for 10% off all raised beds. Beautifully crafted, and ideal for those of us who get a twinge or two. Use CG10 for 10% off fruit cages. Sturdy and beautifully designed, these will protect your crops, and look stunning at the same time! This attached lean to pergola has just been listed. It caught my eye because it is extremely good value (much cheaper than other pergolas of similar design), has sturdy construction, with 4" (95mm) posts, and is built from treated and planed wood to give a smooth finish. 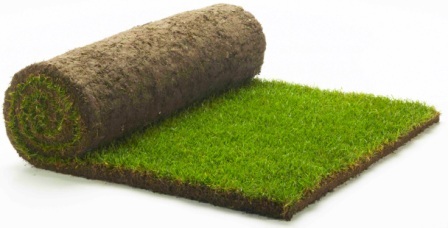 It's unusual to find so many available in different sizes, and this particular supplier has many widths and depths ranging from around 6ft to 21ft. The 2m x 3m is £215...a real bargain for the quality! Garden Chic have done it again. They always have brilliant offers on pergola kits, gazebos, carports and rattan furniture, often much cheaper than elsewhere! 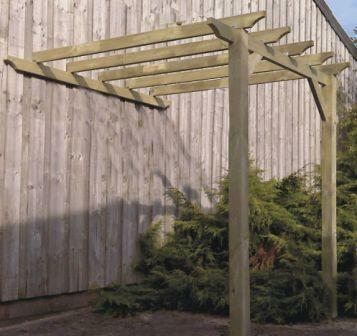 Fabulous S-line pergola with wonderful curved rafters saving £246. There are several sizes of Palermo gazebo. This one is 4.3m x 4.3m and has a saving of £218. 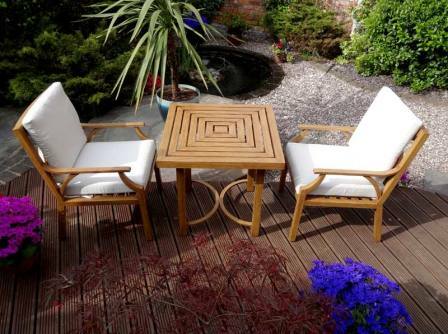 Good savings on decking kits and rattan furniture, too! Some really fabulous saving on a whole range of items here. Get ideas and inspiration from their website. 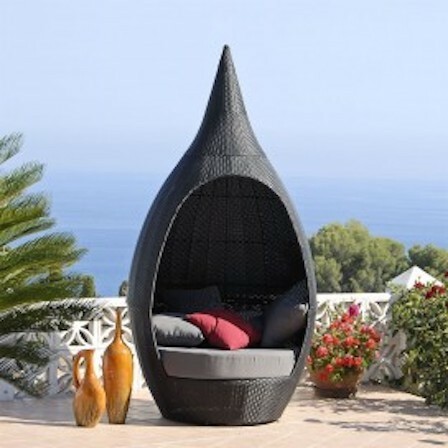 £300 off this modern garden seat. 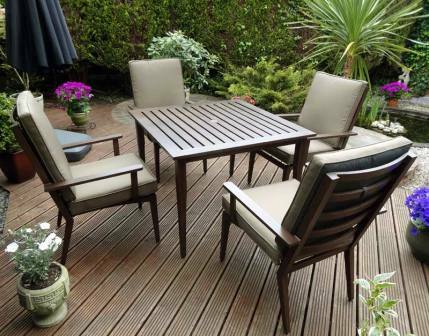 They have lots of excellent offers pre-spring, especially outdoor furniture sets, so it's worth having a look. 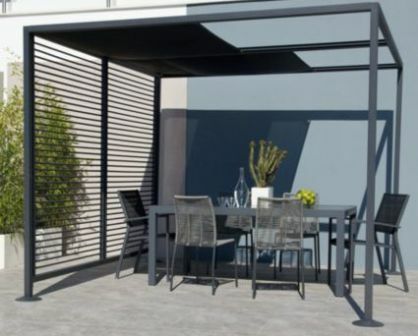 Taylors always have excellent sale items at this time of the year, with good savings anything between around £30 - £250, in their 'pergola' category, including traditional pergolas, attached patio pergolas and retractable pergola awnings. Take a look at all the different categories, as there may be an 'Arch' or an 'Arbour' that is suitable for your needs, and some great bargains are tucked away in the different category sections. They have good bargains on their long walk way pergolas too. 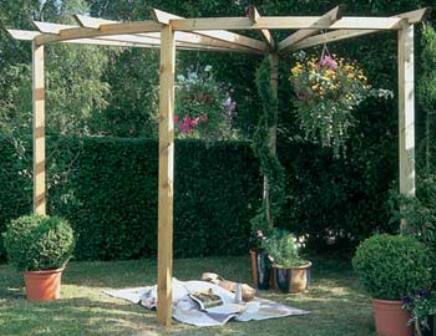 A beautiful corner pergola with £135 off. A fabulous primrose walk with a saving of £138. This Blooma powder coated aluminium gazebo is maintenance-free and modern in design. B&Q have £52 off this particular one at the moment. Well-known for their vegetables, flowers, herbs and fruits. 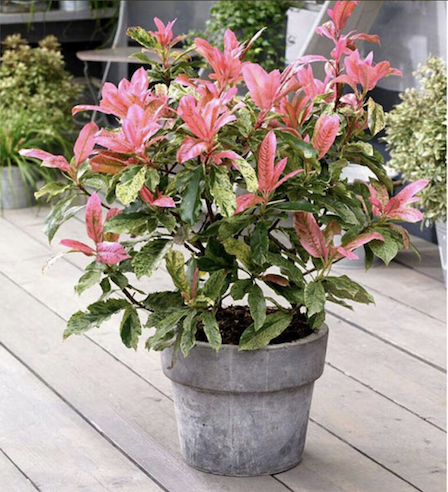 Just look at this beautiful, pink photinia shrub that will grow to 5ft. How gorgeous is that. At little more than it costs for a standard perennial plant this is a bargain with £5 off each shrub. I know where someone needs some of these! They have a whole range of products, from sheds (of course) - with big discounts in a wide selection of materials: garden storage, summerhouses, offices, garden seating to name but a few. Big savings on their early summer sale at the moment! 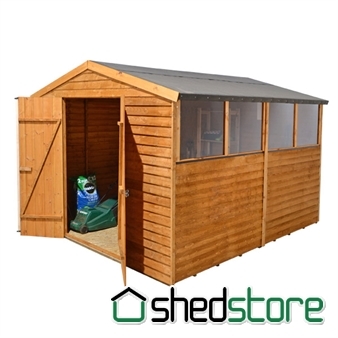 £110 off a standard 8' x 6' shed with similar saving on other sizes. Be sure to take a look at their 'Arbours' and also 'Decking (with pergola)'. 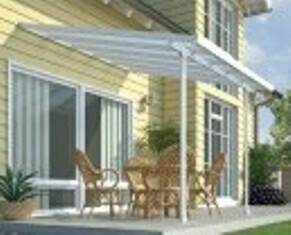 They have lots of fabulous pergola offers, with a saving of £124 on one of their pergola deck kits. Type 'pergola' into the search box. 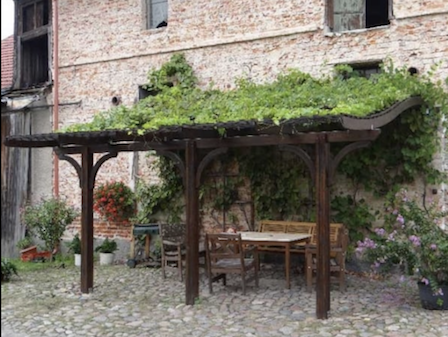 For more ideas and inspiration take a look at some wonderful pergola kits. For ideas on choosing a pergola style, and placing your pergola in a suitable position, see these pergola ideas. Get help and advice on spectacular climbing plants. They are, after all, the stars of the show!